How can we estimate the number of technological civilizations that might exist among the stars? While working as a radio astronomer at the National Radio Astronomy Observatory in Green Bank, West Virginia, Dr. Frank Drake (currently on the Board of the SETI Institute) conceived an approach to bound the terms involved in estimating the number of technological civilizations that may exist in our galaxy. 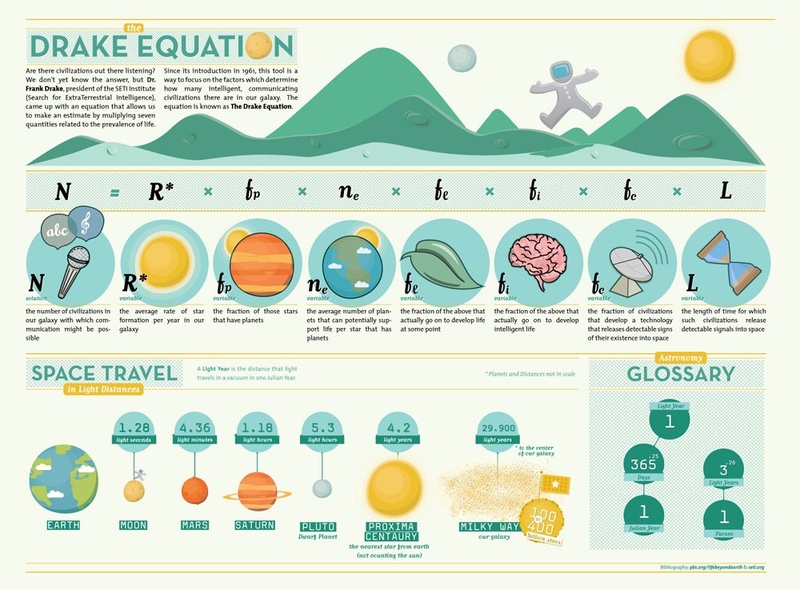 The Drake Equation, as it has become known, was first presented by Drake in 1961 and identifies specific factors thought to play a role in the development of such civilizations. Although there is no unique solution to this equation, it is a generally accepted tool used by the scientific community to examine these factors. In the next paragraphs we will explain the Drake equation.